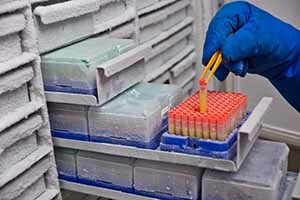 Biobanking: storage services for biological materials (usually human) and related clinical data for use in research.Materials can be sera, plasma, liquor, urine, feces, tissues, cells or molecular fractions, such as DNA and RNA. More information on biobanking services go to biobanking. Data management support: All kinds of data management assistance to researchers in all stages of their research. This can range from practical guidance, support, infrastructure coordination and advice on managing your research data. More information on data management services go to the data management section.